This is my personal blog. No one pays me to write its content, though I believe it pays me back through improved writing skills and the knowledge of food and drink I’ve built up over the years. However, I do occasionally enjoy some perks. Those have run the gamut from full dinners with wine pairings to granola bars. Sometimes, it takes the form of a sample in the mail, and sometimes it’s an invitation to cover an event as a member of the new media, which I proudly am. 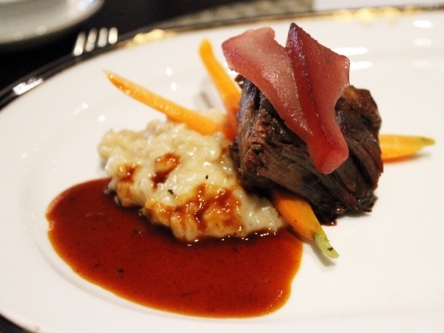 I miss the perk of seasonal menu previews at the Fairview Dining Room so, so much. When I write about any of those perks, I disclose that the goods or services were provided for free within the body of the post. Usually, it’s in parentheses with an obnoxious “Obligatory Disclaimer!” embedded within. Whether or not the perk affects my objectivity, well, that’s up to you to discern. I’d like to believe it doesn’t, but I can’t swear to that. Who could? I currently have no affiliate marketing partnerships beyond links through Amazon Marketplace, though you may see references in my blog posts to the ones I’ve had in the past. Those include NakedWines.Com and MonthlyClubs.Com. I am open to affiliate marketing, but I haven’t found it worth my while in the past, so I’d consider any future partnerships an experiment! I much prefer sponsored content posts and partnering in terms of product reviews. Of course, those are always clearly marked as well. 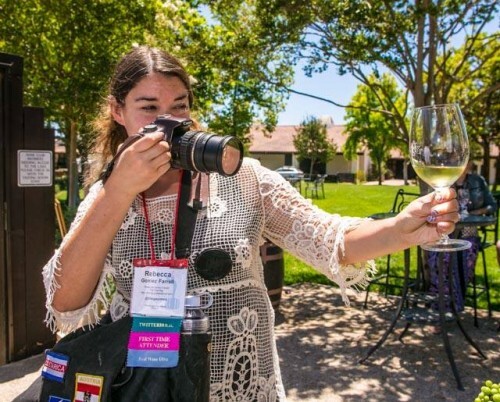 Because any page with fewer than two pictures on this site is just plain lonely, here’s a pic of me “on the job” at the 2014 Wine Bloggers Conference, photo taken by the great George Rose. As a citizen blogger, I did get a discounted price to attend the conferences, so I’m disclosing that here. And I’m also disclosing that I love that shot.